So, farewell Edinburgh! We continued our trip to Aberdeen by train. Pouring rain greeted us when we got to Aberdeen, it had been raining so heavy that some of the areas got flood. We were lucky that our friend’s house, where we stayed just for a night, was out of it. Not much to do in the windy and very wet weather like that. After checked Union Square out and had coffee we went back to the house. 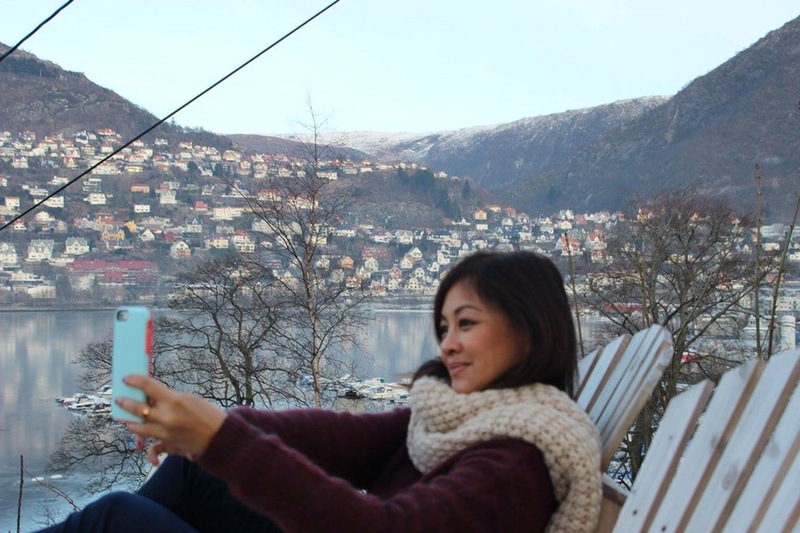 We fell in love straight away with Bergen and our accommodation. 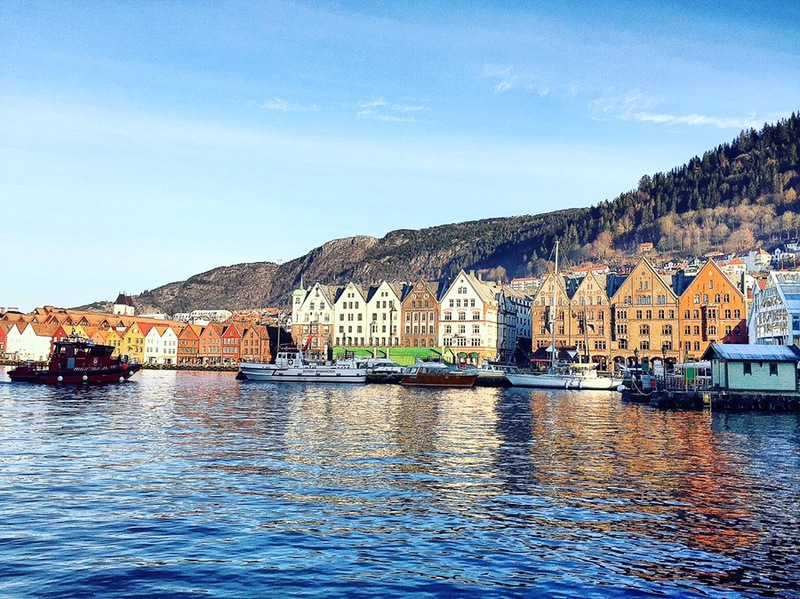 Bergen or Bryggen ( Norwegian for the Wharf) has since 1979 been on the UNESCO list for World Cultural Heritage sites. The city itself was founded around 1070. 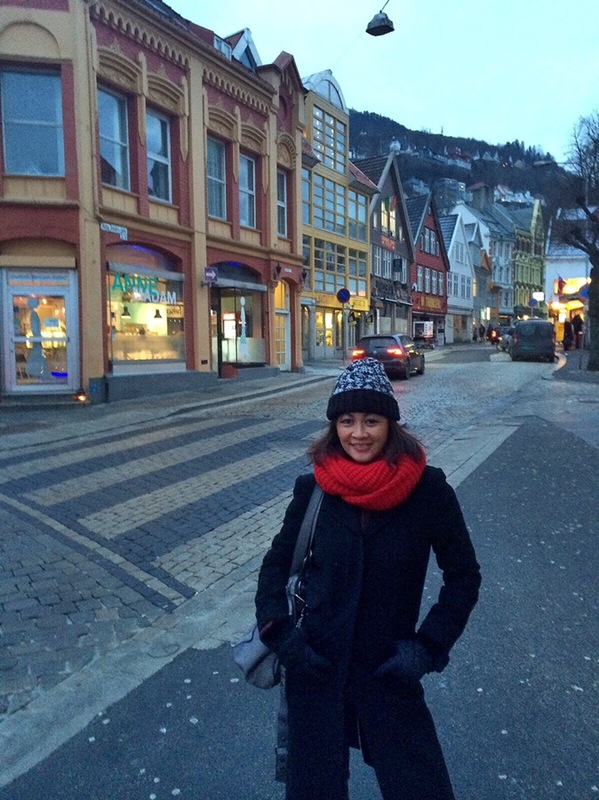 Bergen is a lovely little city on the west coast of Norway. 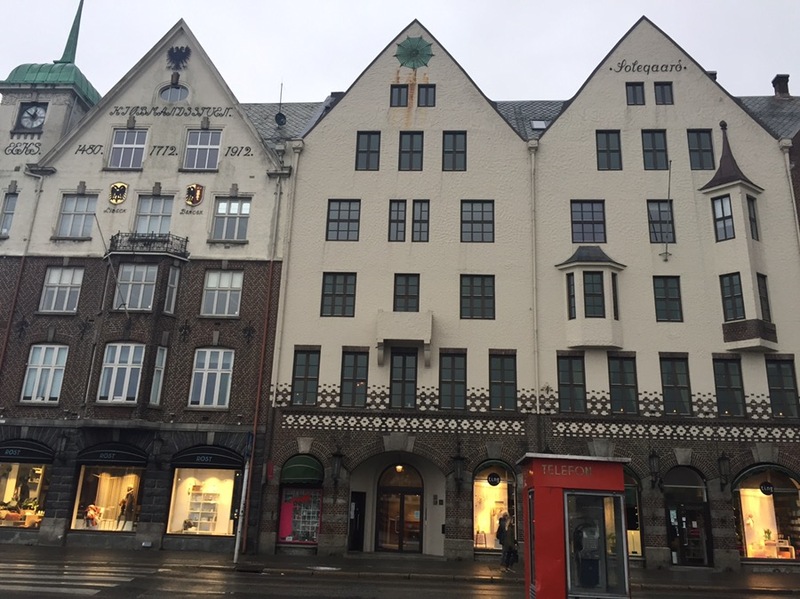 Part of Bryggen were destroyed in a fire in 1955, but today Bryggen houses museums,shops, restaurants and pubs. It was snowing when we were there, so the Boys were very excited! It was their first encountered to snow. Most of the time they were happily playing in the snow and I had a hard time to drag them back to our apartment. The temperature in Bergen while we were there was around -6. 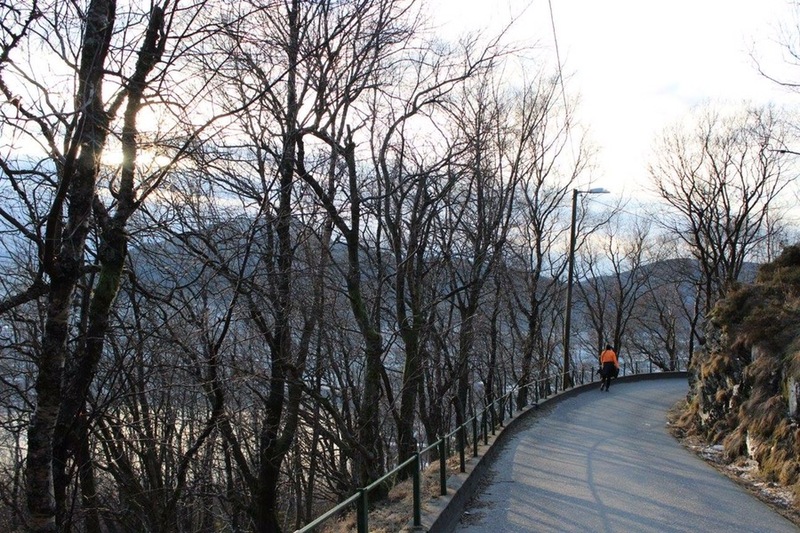 We only spent three days in Bergen, so mostly we did the sight-seeing around the city center and our neighborhood. We climbed Mount Floyen and the Funicular, where on the way back I got lost for almost an hour and half, just by myself and no connection whatsoever on my mobile! Inside the cable train going up to Mt. 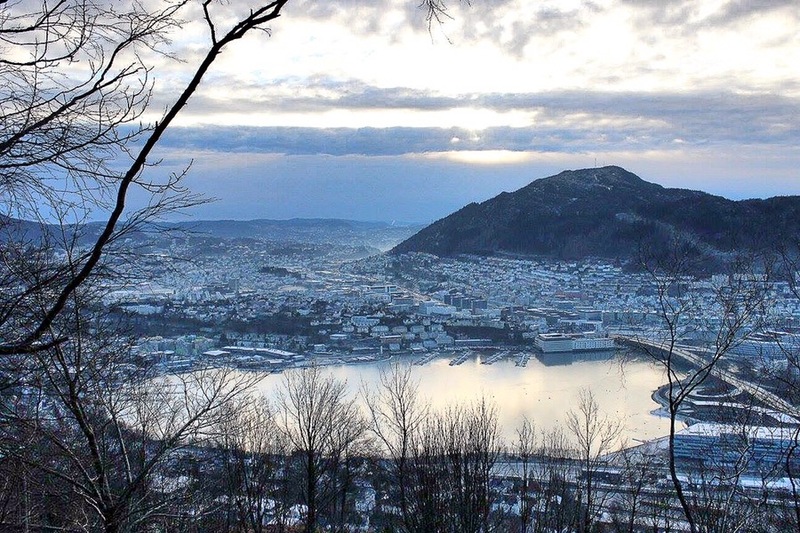 Fløyen. 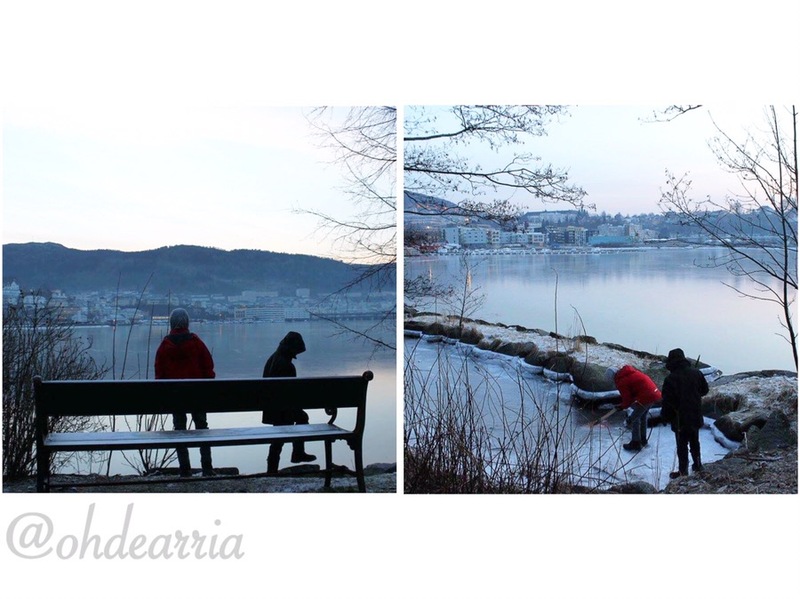 The boys are happy playing with pieces of ice that they carry around every where! Here are few pics I took while I was lost! 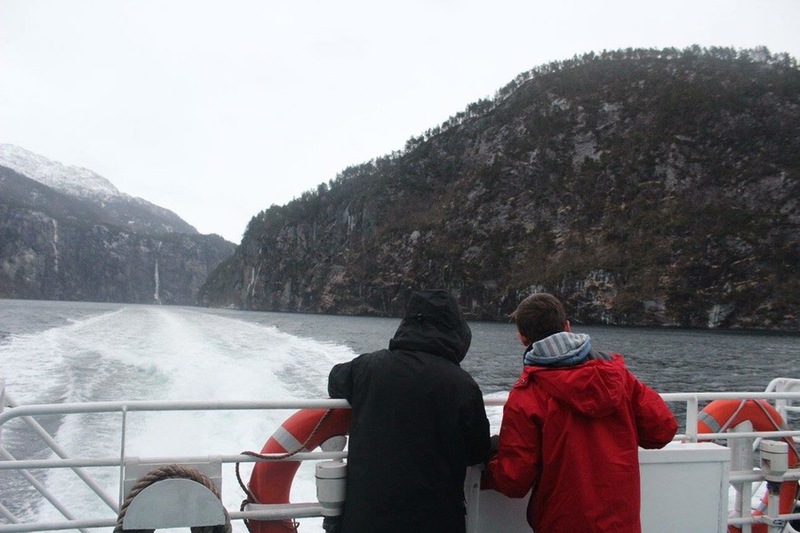 The next day was wet and very very cold, and of course my darling husband chose to do the Fjord tour, so off we boarded our boat! 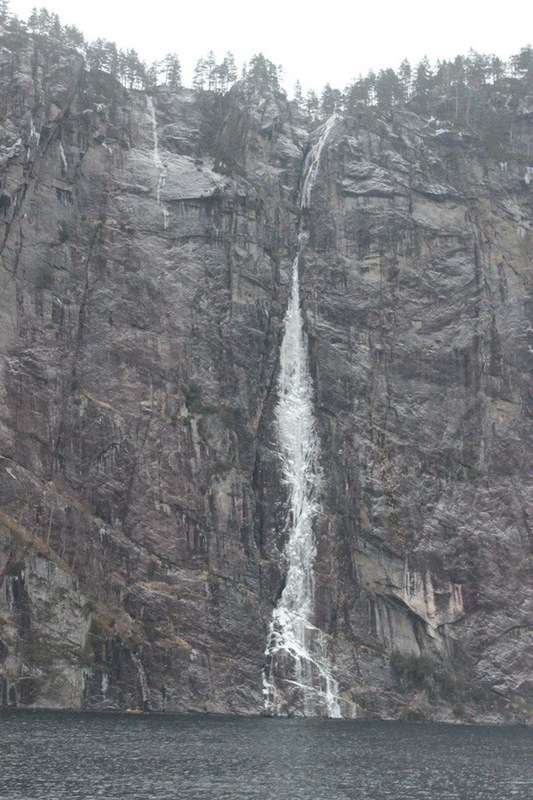 We did Fjord Cruise to Mostraumen, which we experienced the fjords, mountains and waterfalls. 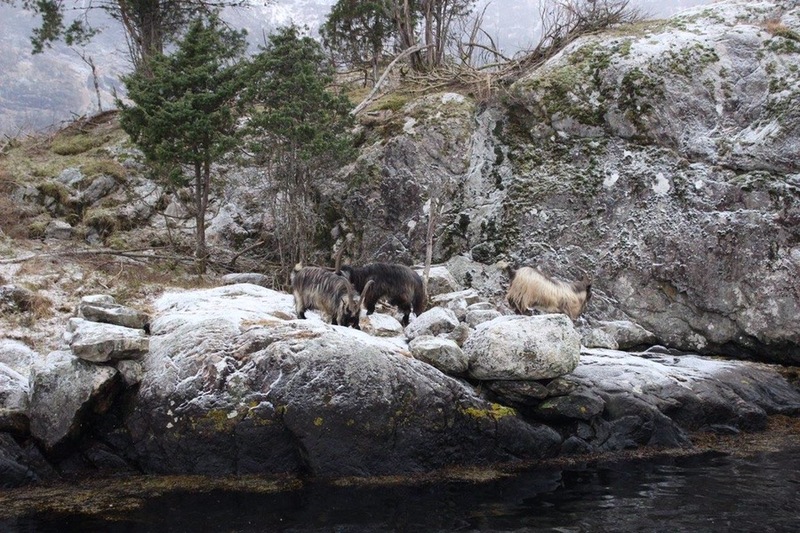 This trip took us to the innermost part of Osterfjord and right into the narrow Mostraumen sound with its strong current. 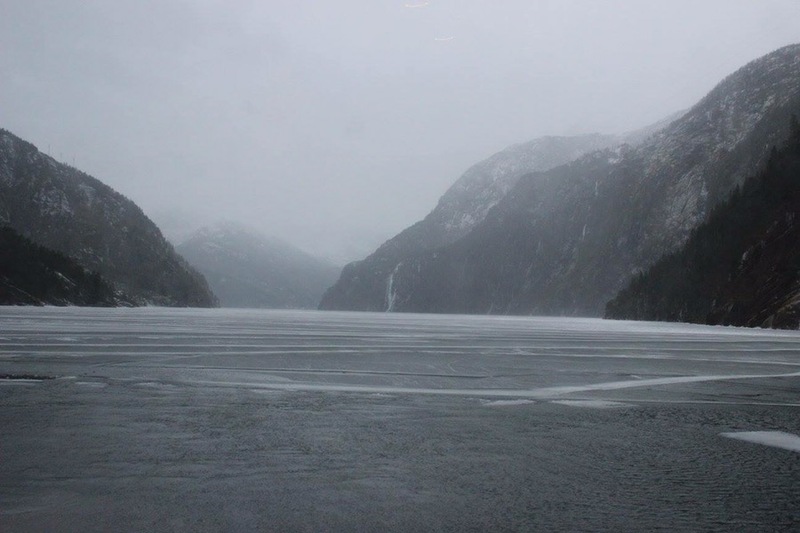 Our boat was just able to pass through the sound, which was an experience in itself. At one stage we even had to cruise through the icy water, I could hear the cracking sound, somehow made me a bit nervous! After three hours we were back to the land safe and sound😉 Going through layers of icy water. It was time to visit the Fisketorget aka Fish Market! I love to look at all those fresh seafood, from oyster, lobster, salmon, prawn, everything! But this place is a tourist trap, as it is way too expensive. Though the paella was very good and pleasant scenery outside the window. Sorry, I didn’t take any pictures, I was starving! 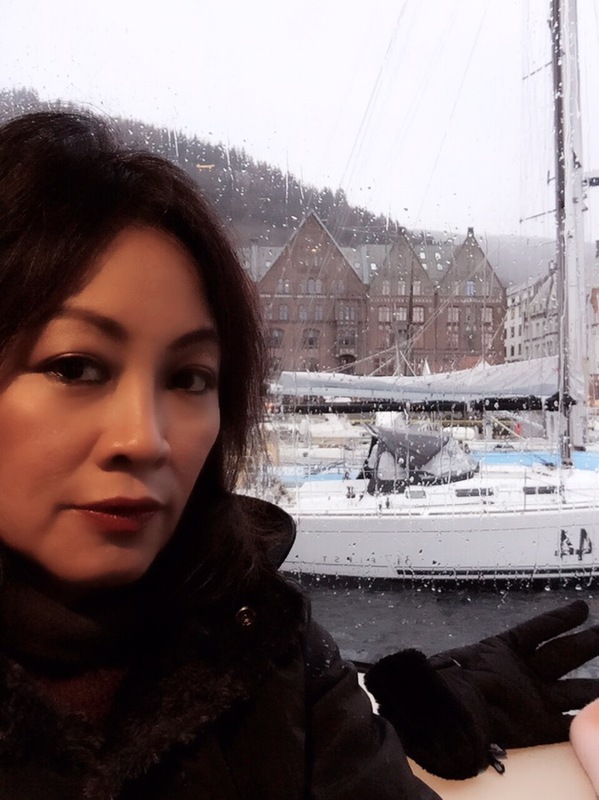 The next day we spent our time around Bergen city centre. Being Sunday, everything is closed, only 7 eleven and Narvesen are open. Plus few cafes/restaurants. So, I only could peep through the window of those big SALG sign everywhere! Much to my hubby’s excitement! 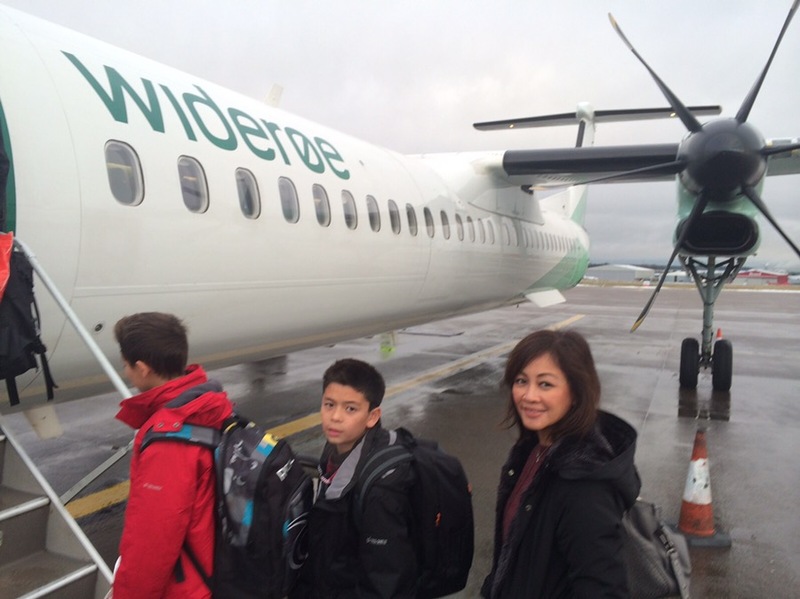 We had a great time in Bergen. It is really a pretty little city. 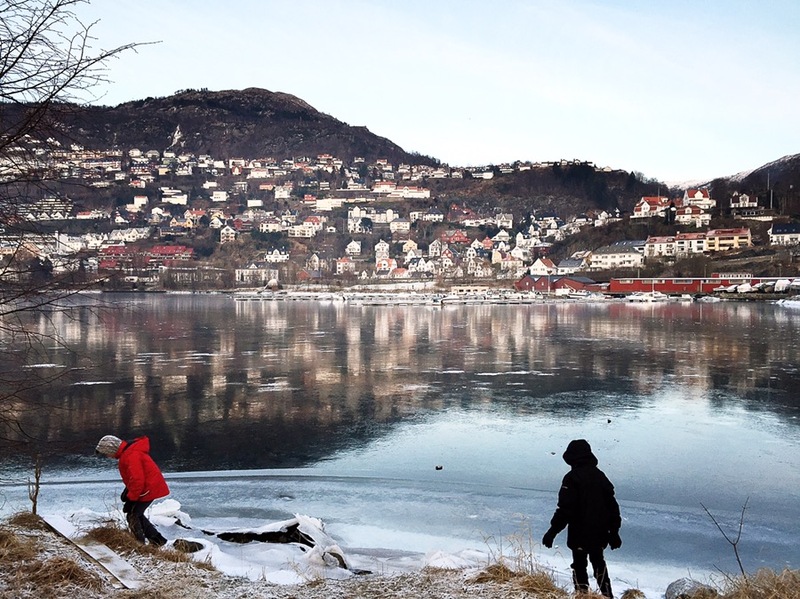 Til later, Bergen! Yeah I think it’s even prettier in the summer ya Va? Have you been to Mt. Ulriken (is that right?) it was closed when we were there, they said it’s worth a visit too. 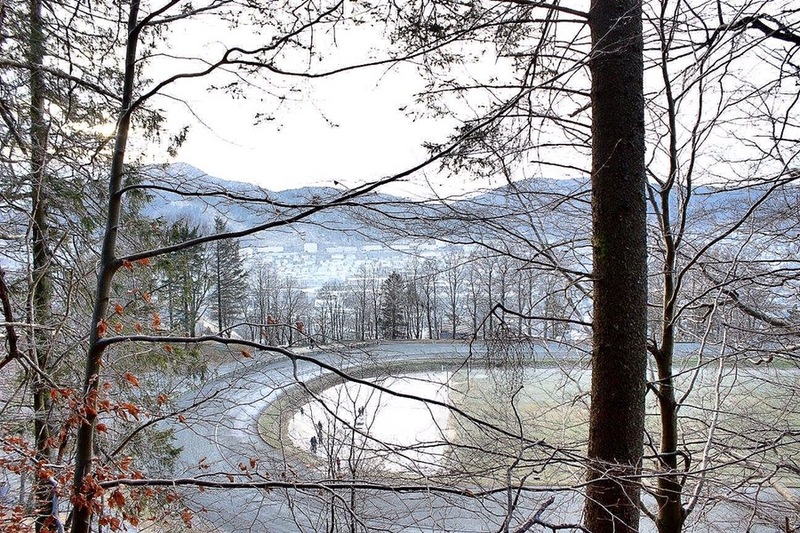 Oh wow….the views are surely breathtaking!! Thanks for sharing mbak Ria! It’s so cute that your twins carry around the ice piece. What a fun family trip!! 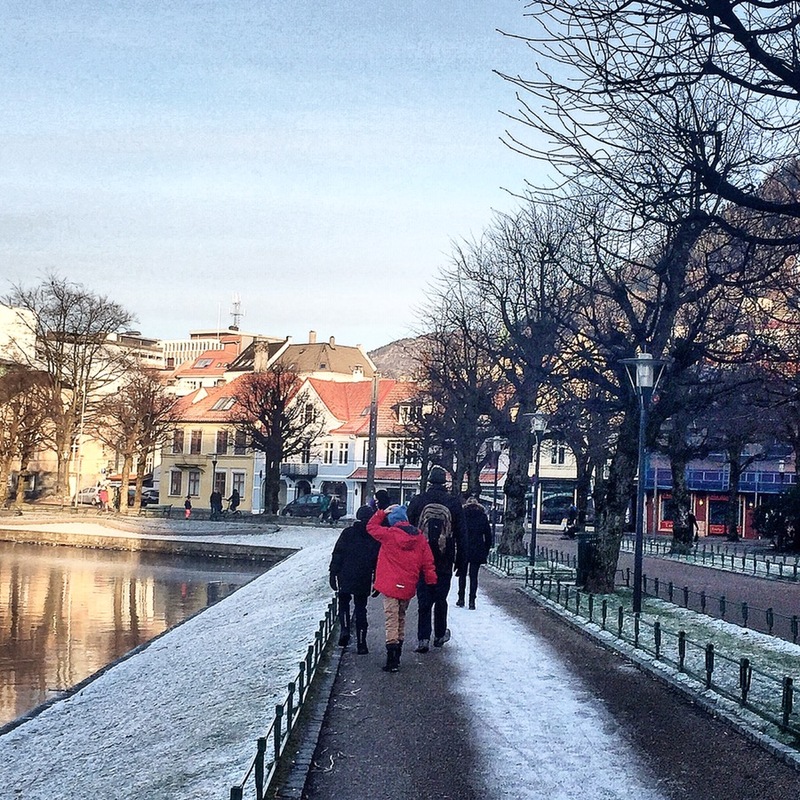 Love Bergen it so pretty! 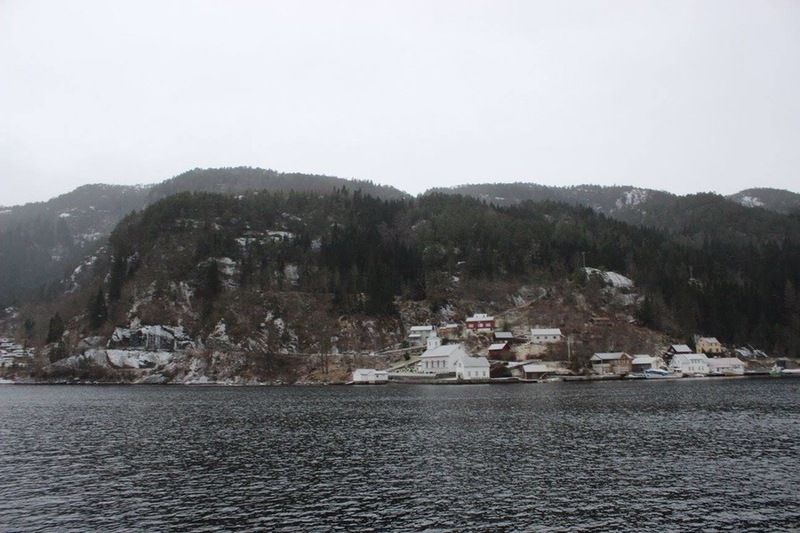 Norwegian Fjords in the winter must be interesting I think I went in July. We didn’t go up the Ulriken but we went up Fløm and saw the Brensdal glacier. 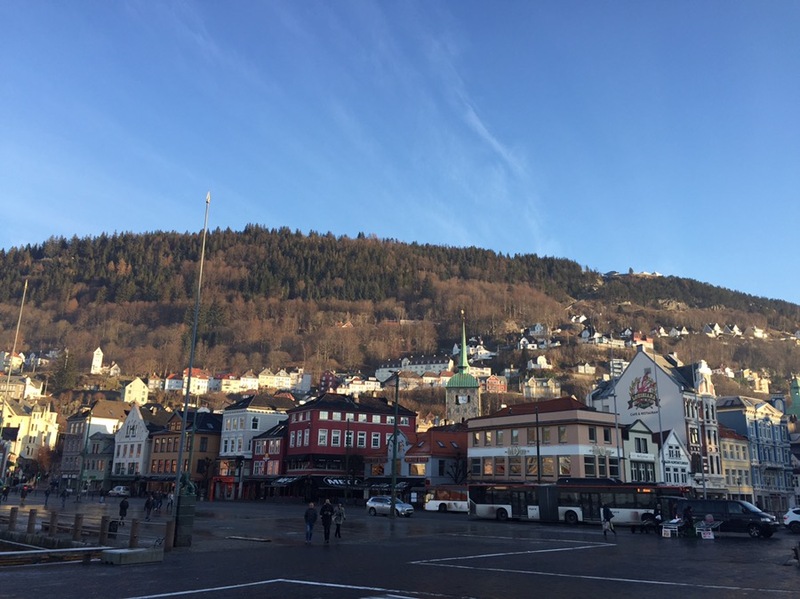 I just came back from Bergen, and it was so pretty I loved it! It was much quieter while I was there, though I think because everything was closed? 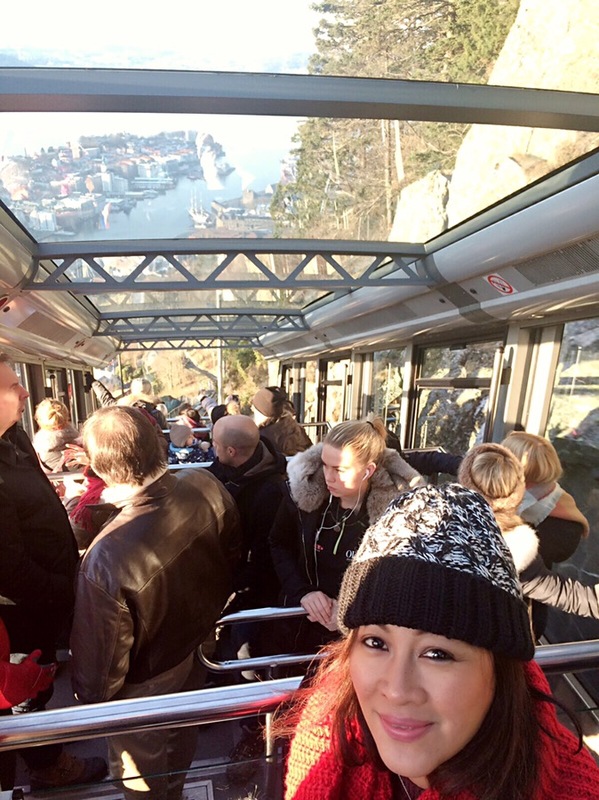 I’ll definitely be going back because I didn’t get the chance to do the fjord cruise which I really want to do!